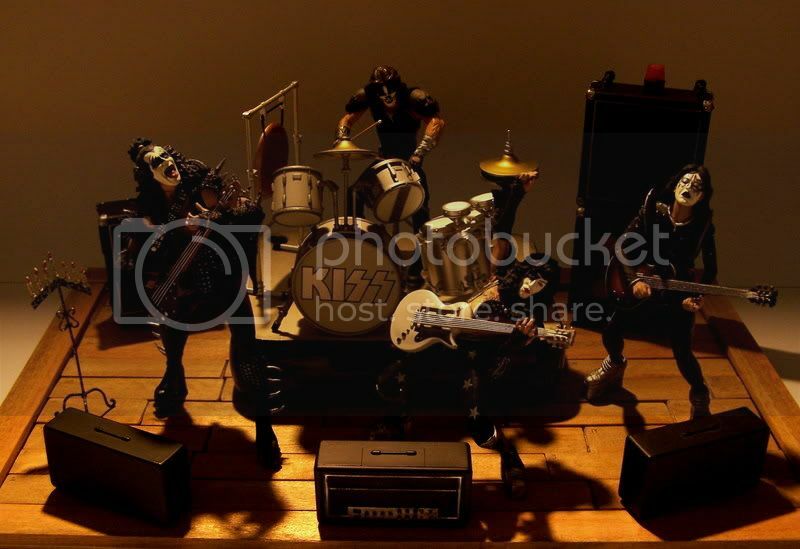 Yeah, we need the whole band kind of like Kiss on the Alive set! These would be just crazy cool. Also: The face looks much more like Jimmy when seen close-up. Is the guitar removable? Can you put his other hand on it? The guitar is indeed removable, but his right arm has limited mobility - it doesn't reach the 12-string. the whole band SRTS set up would be amazing! They never quite get the face right, do they? The figure ends up looking more like Joe Perry or, disturbingly, Ritchie Blackmore. It's understandable, Page's features are sort of delicate and pre-Raphaelite. I'm reminded of an article I read about a Brian May action figure. He finally agreed to let them make it but only on the condition they get his hair right. 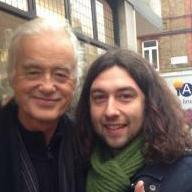 I have wanted this Jimmy Page action figure for a long time now and just had literally 2 of the worst weeks of my life (family medical issues) .. so I finally bought one for myself. It's good to treat yourself once in a while,zen.I hope the issues are sorted out and that you're doing well. Thanks Ross! It's been a tough few weeks and when I saw TSRTS on VH1 Classics this weekend, both Saturday and Sunday (and yes, I watched it both times! ), I figured it was a sign so I went ahead and bought it! Hope you're doing well too friend! I had heard TSRTS was on again there,and why aren't I surprised you watched it both days?? I'm betting little Jimmy is centre stage and has pride of place where you live too! And yeah,all's good here thanks my friend. Absolutely awesome! 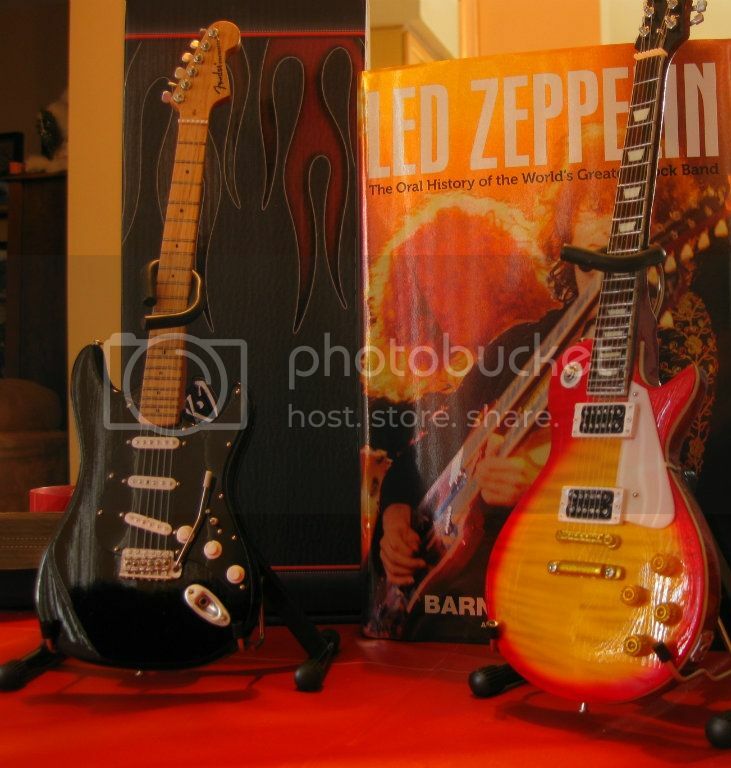 I have a couple of those miniature guitars too...haven't figured out how to display them yet.